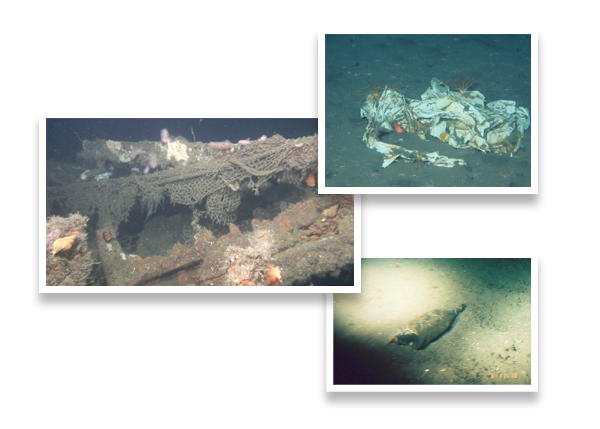 The Deep-sea Debris Database provides marine debris data collected from deep-sea videos and photos. They have been taken during research surveys by submersible, "SHINKAI6500", "HYPER-DOLPHIN", etc., owned by the Japan Agency for Marine-Earth Science and Technology (JAMSTEC). You can see lists of debris classified by shapes/materials; we have categorized them based on their videos and photos. In addition, you can find more about debris sunken to deep-sea by the locations where they were taken on videos and photos. The videos and photos are also available on this website. Debris data (639 data points) was added, and 335 data points were updated. Debris data (339 data points) was added, and some categories of Data Tree were changed. A story referred to the paper ( Human footprint in the abyss: 30 year records of deep-sea plastic debris) based on data from Deep-sea Debris Database was posted on the website of UNEP (United Nations Environment Programme). If you have any questions or opinions regarding the website, please contact the group below. We have categorized debris in details based on videos and photos taken during research surveys. Furthermore, we have added other information, such as states of debris (accumulation point and drifting, etc. ), environments around debris (types of sea bottom sediments and activities of organisms), etc. Dive information, representative dive points and date, are used as basic information. All dive points conducted by each submersible and the points where debris was taken on videos and photos are available at Dive Points. The deep-sea videos and photos found in this website are released from the " JAMSTEC E-library of Deep-Sea Images".